Hi John, this is a prime example of why we are doing business with you. GREAT JOB!!!!! Please keep up the good work. We are motor experts so we will size the motor correctly, install it, provide after sales service and take care of any possible warranty issues. We have a massive stock of the most popular sizes in our North Carolina warehouse for immediate delivery. TigerTek is an authorized Baldor distributor serving Greensboro, NC as well as Southern Virginia and Central North Carolina. 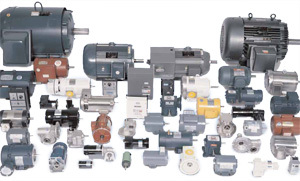 We also provide sales and service for many major brands, such as Teco-Westinghouse, Weg, Leeson Electric, Lincoln Electric, US Electric, SEW Eurodrive, CEG, Siemens, Toshiba, Brook Crompton, Lafert, WorldWide Electric Motors, North American Electric and TechTop. Please let us give you a quote ( ). Our power transmission experts will help you select the best motor for your application.